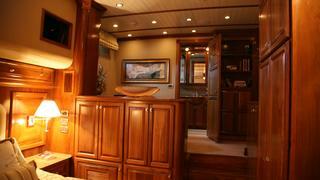 Expedition Motoryacht "Aventura" is a serious, solid, steel ship intended to go anywhere and to do it for a long, long time. 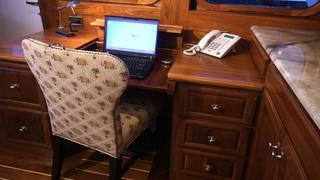 Virtually all key systems have redundant backups, or alternate sources. 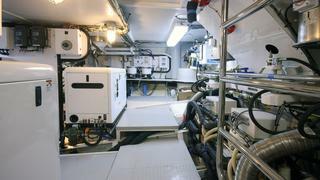 The more than 5,400 gallons of fuel will take her transatlantic at 10 knots, and easily transpacific at 7­8 knots, all the while in the safety and security of a ship that displaces 115 tons. 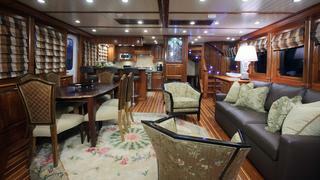 Built to ABS class, this vessel has had impeccable maintenance by a knowledgeable owner its entire life and is one magnificent ship. 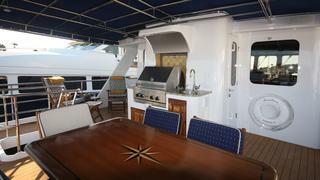 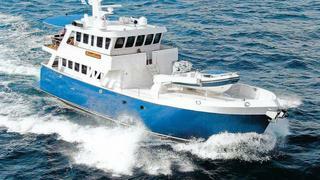 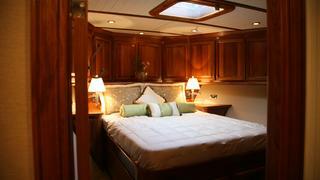 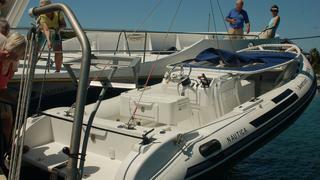 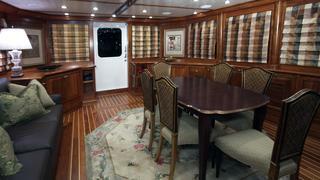 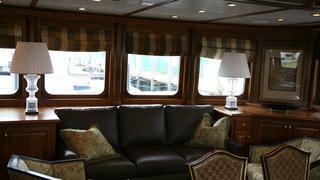 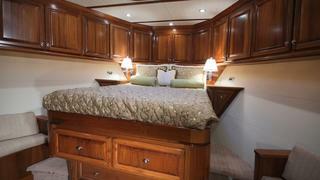 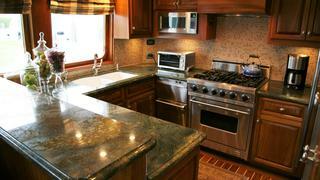 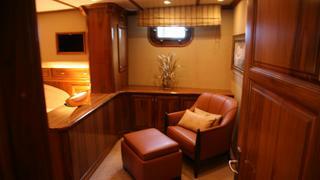 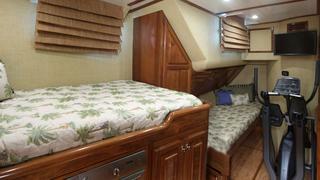 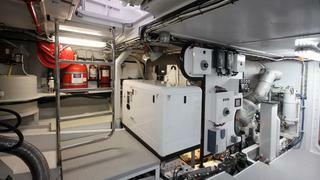 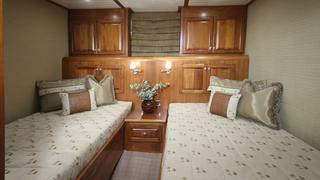 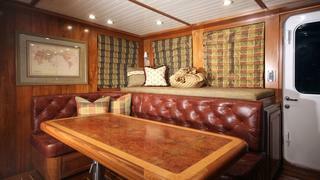 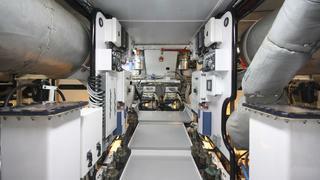 The interior continues the ship­feel, with 7′ headroom throughout. 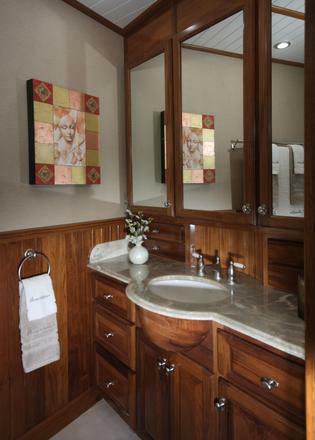 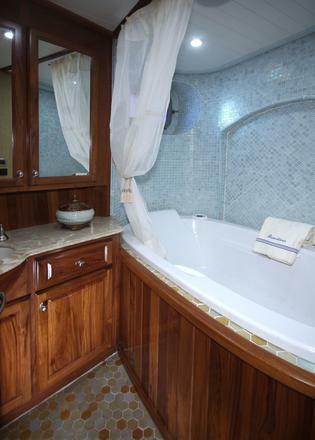 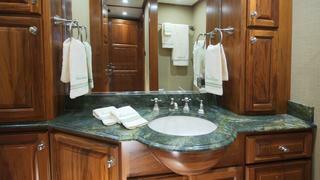 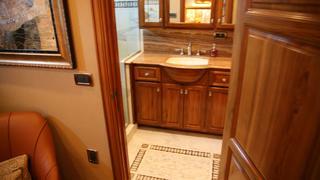 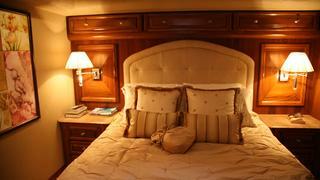 Accommodations include Master with sitting area and ensuite head,Vip with ensuite head and guest stateroom with separate head with tub.All heads are adorned with beautiful tile and marble. 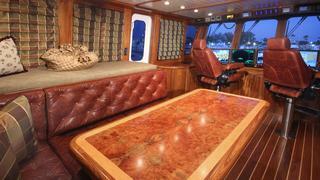 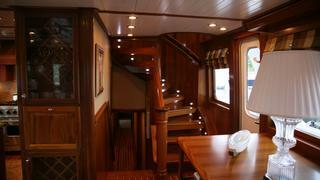 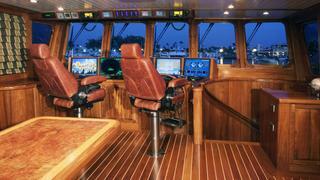 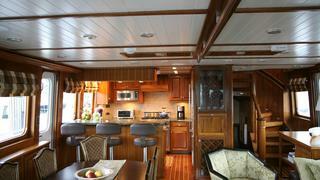 Throughout the vessel all the interior wood is glorious, old­growth teak and the joinery is spectacular.